A geriatrician specializes in caring for seniors over the age of 65. While not every senior needs such specialized care, those who are troubled by the complications of several age-related conditions could benefit from the attention of a geriatrician. A geriatrician is an internist who has additional years of training in the specific needs of the elderly patient and is sensitive to the complexities of senior health care. For example, seniors can have varying reactions to illness and diseases, metabolize medications differently, and have specific medical and social needs. A geriatrician helps their senior patients maintain the highest level of function and the best possible quality of life. There are many benefits to having a well-trained professional to manage elder care. 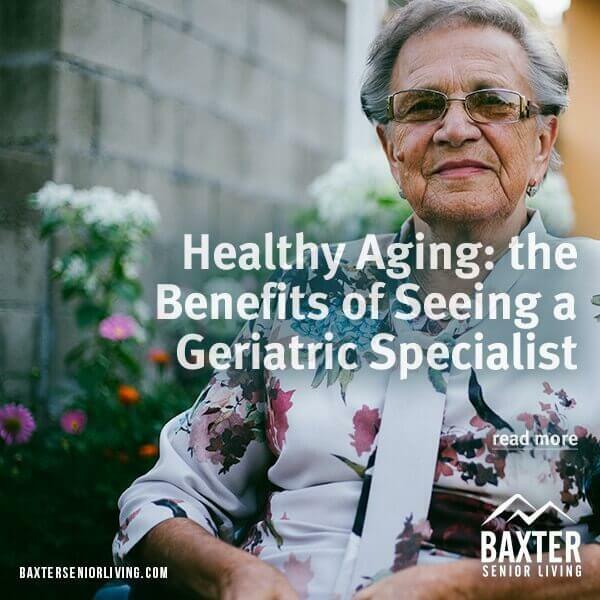 A geriatrician is part of a healthcare team and ensures coordination between all the specialists involved in the patient’s care, including physical therapists, specially trained nurses, psychiatrists, pharmacists, and occupational therapists. The geriatric specialist makes suggestions for any recommended or required changes to their patient’s treatment plan. This team approach to health care helps the senior patient get the best possible care. A geriatrician can make recommendations to help the patient stay safe in their living environment. The specialist is trained to evaluate the patients living situation. They can recommend services, modifications, accommodations and will help their patients decide on the best options. A geriatrician, while primarily concerned with physical health, is also well-versed in the emotional well-being of their patients. Complex medical concerns can take a toll on the aging patient, who may need help adjusting or adapting to the changes in their lives and their health. The geriatrician can recommend additional treatment options when they become necessary. Most geriatric specialists are comfortable discussing essential considerations, such as advanced directives and living wills, and many will talk about the long-term expectations involved in patient care. These knowledgeable senior care specialists help their patients plan for their future and make sure the families know what to expect in the course of medical treatment. Not everyone will need the specialized care of a geriatrician. Those over the age of 65 with complex age-related conditions will benefit from the care of a specialist. A geriatrician is well-prepared to coordinate and oversee the best possible care for their senior patients.